Prominent & Leading Wholesaler from New Delhi, we offer trichloroethylene, perchloroethylene (pce), methylene chloride, triethylene glycol and methylene dichloride. Trichloroethylene, TCE is a chlorinated hydrocarbon commonly used as an industrial solvent. It is a clear non-flammable liquid with a sweet smell having no flash point. 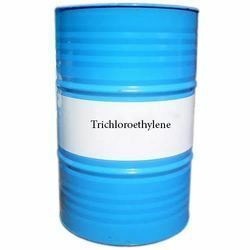 Trichloroethylene is highly stable in the presence of common chemical stabilizer.. It is used in Metal Cleaning / Degreasing. Perchloroethylene, Perchloroethylene, Perc, PCE is a colorless, nonflammable liquid with a sweet, ether-like odor. Perchloroethylene is primarily used for dry cleaning fabrics and degreasing metals. Perchloroethylene is also used to make other chemicals, including chlorofluorocarbons, and rubber coatings. Perchloroethylene is used as an insulating fluid and cooling gas in electrical transformers and as a scouring, sizing, and desizing agent in textiles. Perchloroethylene is an ingredient in aerosol products, solvent soaps, printing inks, adhesives, sealants, paint removers, paper coatings, leather treatments, automotive cleaners, polishes, lubricants, and silicones. 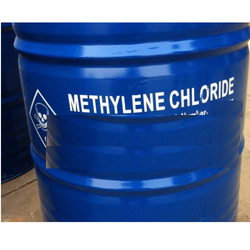 Methylene chloride (also known as dichloromethane) is an organic halogen compound with the molecular formula of CH2Cl2. This product is a non-flammable liquid, having no measurable flashpoint or flammable limits in air. It is miscible with most organic solvents but only slightly miscible in water. 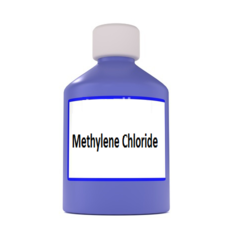 Methylene chloride is predominantly used as a solvent for paint stripper, varnish removal, aerosol spray repellent and degreasing. It is an effective solvent because of its highly volatility and stability. 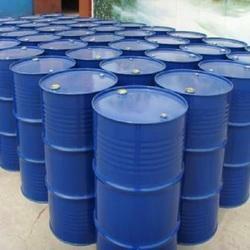 Methylene chloride is also used in the processing of plastics, extracting fats and oils from food products. Methylene chloride can weld certain plastics and is therefore used in the model-making industry. Methylene chloride is also used in the garment printing industry for the removal of heat-sealed transfers. Mild Colour APHA 25 max. Water wt ppm 1000 max. Distillation Range Deg C 5% 280 min. Triethylene glycol (2-[2-(2-hydroxyethoxy)ethoxy]ethanol) is also known as triglycol is a colorless, odorless and stable liquid with low viscosity and a high boiling point. It is miscible in water and hygroscopic in nature. Distillation Range 5% Deg. C 280 min. 95.00% Deg. C 300 max. Acidity as CH3COOH mg/kg 100 max. 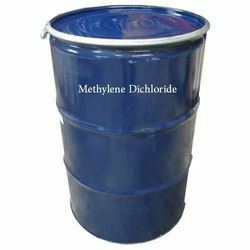 Methylene chloride (also known as dichloromethane) is an organic halogen compound with the molecular formula of CH2Cl2. It is colorless liquid with a distinctive chloroform odor. This product is a non-flammable liquid, having no measurable flashpoint or flammable limits in air. It is miscible with most organic solvents but only slightly miscible in water. We are looking bulk inquiries from Delhi, Delhi NCR, Haryana, Uttar Pradesh (U.P), Uttrakhand, Rajasthan, Himachal Pradesh (H.P), Punjab. Application: It is widely used as a paint stripper and a degreaser. 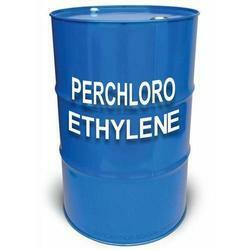 Looking for Perchloroethylene Supplier in North India ?